The events that lead to hair loss in women all impact female hormone balance. Stress, illness, nutrient deficiencies, taking medication (like birth control), and systemic inflammation can all be causative factors of hormonal hair loss. If you have not read Female Hair Loss – Why It May Be Your Hormones! First, stop here and read that article prior to reading this one. Okay, now that you understand more about how an underlying hormonal imbalance can cause hair loss, let’s learn some ways to help you regrow your hair. First, take a deep breath. By encouraging hormonal balance through a focus on dietary changes, stress management skills and exercise, you can help your hair grow back. After we cover supportive tips in each of those areas, I am going to cover which herbs, nutritional supplements, and natural therapies might also be helpful. Eating a diet that normalizes blood sugar and insulin supports thyroid health and helps to reduce inflammation will provide nutrients for optimal cellular health, including hair health. Insulin levels affect fat storage within the body and hair growth (plus many other body processes). “High blood sugar and high insulin levels skew hormone metabolism toward too many androgens,” according to Dr. Christiane Northrup and studies have found that women with insulin resistance have a greater risk of experiencing female-pattern baldness. In order to stave off hair loss and support healthy hair growth, focus on eating a balanced, whole food Fertility Diet. Natural, whole foods contain vitamins and minerals, as well as the catalysts and enzymes necessary for each nutrient to be utilized properly by the body. 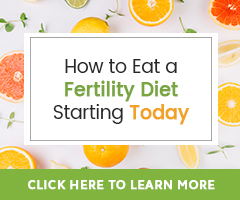 The Fertility Diet and the nutrients listed below have a multitude of fertility health benefits and, because we discuss them at length in many articles on Natural-Fertility-Info.com, I will focus mainly on their benefits for hair health and growth, along with hormonal balance. Fiber supports the body’s ability to eliminate metabolized excess estrogen and xenohormones, and regulates blood sugar levels. Each is instrumental in helping achieve hormone balance. Dark green leafy vegetables are the richest sources of fiber, as are whole grains and beans. Many plant and animal proteins are also rich sources of iron and amino acids. Iron and amino acids are the building blocks for cells in the body, including hair. “Hair gets its structure from hardened proteins called keratin. Without enough protein for keratin, hair grows more slowly, and the individual strands that do grow are weaker,” says Registered Dietitian Joy Bauer. Food sources of protein, iron and amino acids are: Brewer’s Yeast, fish, grass fed/organic meats, eggs, organic dairy, nuts, dark leafy vegetables and spinach. Spinach in particular is a food source of folate which is necessary for the creation of red blood cells and iron. When the cells aren’t receiving enough oxygen and iron levels are low (anemia), they can’t function properly which will cause a variety of symptoms, one of which may be hair loss. Vitamin C aids the body’s ability to absorb iron and is also necessary for forming collagen, the fiber that hair follicles, blood vessels, and skin require to stay healthy and grow. Foods rich in vitamin C are: many citrus fruits, red peppers, broccoli, cranberries, cabbage, potatoes, and tomatoes. Vitamin A is necessary for all cell growth, hair included… use caution, however. Consuming too much vitamin A through diet and supplementation can lead to hair loss. Sweet potatoes, carrots, dark leafy greens, squash, lettuce, dried apricots, cantaloupe, bell peppers, and some tropical fruits are good food sources of vitamin A (think orange). Folate, B6, and B12 specifically are involved in the creation of red blood cells. Red blood cells are oxygen carriers; they deliver oxygen and nutrients to the body’s cells. You guessed it; this includes the cells of the scalp, hair follicles, and even new hair growth. Cells starve without enough oxygen and hair can then become weak, grow slower, and fall out. Consider eating: seafood (clams, oysters, mussels, lobster, crab, tuna, wild salmon), eggs, lean free-range pork, full-fat and organic/grass-fed dairy, beans (lentils, pinto, black, navy, garbanzo beans), collard/mustard greens, asparagus, and broccoli. Biotin is a specific B vitamin essential for hair growth and overall scalp health. Biotin deficiency causes hair loss and supplementing 5-8 grams daily can support hair regrowth. The human body actually makes biotin in the intestines and many foods contain this nutrient, for example, eggs. Eat eggs! They are a rich in protein, B vitamins like biotin and what we now know to be healthy cholesterol (important for hormone production). People who also suffer from impaired intestinal function may need to supplement beyond eating foods rich in biotin. Additional foods rich in biotin are: avocado, nuts like peanuts/almonds and wheat bran. Zinc is necessary for tissue growth and repair (including the growth of hair) as well as for maintaining the health of the oil glands that surround a hair follicle. Low levels of zinc can cause slow hair growth and lead to hair loss. Zinc is instrumental in: stimulating hair growth, reducing androgen levels, reducing inflammation, and promoting ovulation. While zinc is found in oysters, shrimp, beef, venison and turkey, it can be damaged by the heat of cooking, so be sure to also eat raw sesame and pumpkin seeds, green peas, and yogurt (choose full-fat and organic). Exercise is important to overall health and fertility, as it keeps the body oxygenated by increasing circulation. It is also important for lowering excess body fat. Excess adipose tissue (fat cells) lowers insulin levels, and holds onto the hormone estrogen. A combination of excess estrogen, lowered insulin levels and elevated androgens (high levels of testosterone) can lead to thinning hair for women. This is common in women with classic PCOS. 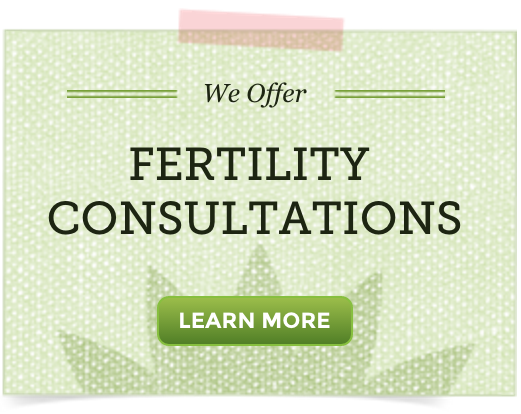 It is imperative for fertility health that you work diligently to decrease stress. Chronic stress can cause hormonal imbalance. When the body is stressed, it will redirect energy used for the noncritical life processes like hair growth and ovulation, to the critical functions of the body that keep us alive, like breathing and heart function. Click here to learn our Top 10 Mind and Body Therapies to Help With Fertility Stress and to learn more about Stress and Your Fertility. Taking a quality, whole food multivitamin is what we consider insurance for your diet because whole food multivitamins contain important nutrients for fertility health that, as we have just read, also support hair health. DIM is a powerful plant nutrient found in cruciferous vegetables like broccoli, cauliflower, kale and rutabaga that promotes estrogen metabolism and balance. DIM helps the body process and remove excess estrogen in order to achieve hormone balance. The extract of grape seeds is a natural source of vitamin E, essential fatty acids and antioxidants. Grape Seed Extract acts as an anti-inflammatory while supporting healthy circulation within the body. It also contains oligomeric proanthocyanidins or OPCs that inhibit DHT production and are known to stimulate hair growth. Deficiencies in EFAs, such as arachidonic acid (ARA), can lead to hair loss. Taking a high-quality omega-3 supplement, such as Cod Liver Oil that provides ARA, along with cutting out vegetable oils (present in most processed foods) that contribute to an inflammatory state within the body will not only support hair health, but will also help to regulate hormones, ovulation, and improve cell quality. I have read several stories of women who have tried acupuncture as a part of their healing journey. Some did experience hair regrowth and others did not. Acupuncture has so many fertility health benefits – from stress reduction, increasing circulation, and hormone regulation to boosting immune system function – that it, in my professional opinion, would be worth a try. I like this one! Acupuncturist, Dr. Emily Kane, shares a story on her website about her treatment of a client who, as just one part of her hair re-growth plan, rubbed a piece of freshly sliced ginger on her scalp before shampooing. Kane says, “The ginger is a warming herb which stimulates circulation to the scalp, providing fresh blood with oxygen and nutrients to the tender new shoots of hair.” Hey, my two cents are why not give it a try and then drop another piece into your morning tea. Use a wide tooth comb to comb through wet hair; avoid brushing hair when wet. Use natural hair care products void of chemicals; avoid conventional hair or styling products that advertise that they will re-grow hair. These often simply coat the hair to make it seem fuller or thicker and will only give the illusion that hair health has changed. Research haircare products that contain plant stem cells. A relatively new discovery is that plant stem cells, specifically Bugleweed (Ajuga) and Saw Palmetto (Serenoa repens), inhibit DHT production. Bugleweed has also been found to be very high in antioxidants. Addressing the root cause of hormonal hair loss for you is a foundational step. If your thyroid is malfunctioning, it is important to support healthy thyroid function. If you are on birth control, consider stopping its use. If your hair loss is related to PCOS, learn more about that health issue, as well. If the body lacks certain nutrients, focus there by eating foods rich in those nutrients. Herbs, nutritional supplements, and natural therapies are powerful and more effective when the body is in balance. This journey and the events that pop up along the way require patience. Be patient! You can overcome this! Helt, A.M. (n.d.) Personal communication.